This Marfione Custom Tachyon III butterfly knife has an M390 steel blade with a two-tone stonewashed finish. It comes in a clip point blade style with a sharpened false edge. 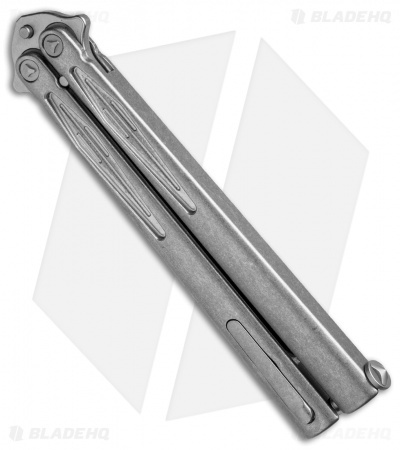 The titanium handles also have a stonewashed finish for excellent wear resistance. Includes box with certificate of authenticity and zippered nylon pouch. New from maker. 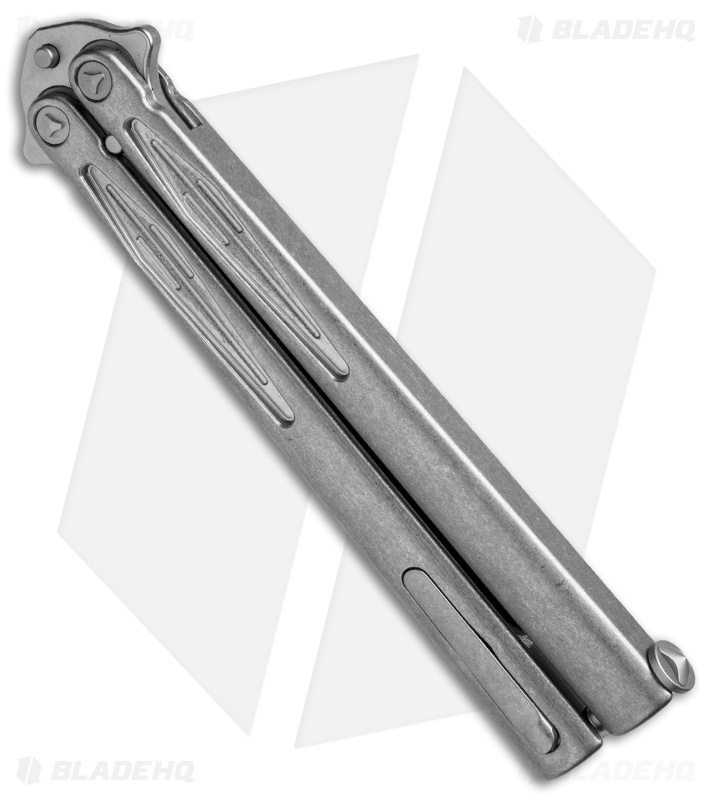 Unlike the hypothetical faster-than-light Tachyon particle, the Tachyon Balisong from Microtech is factual, proven and a reality. The latest generation of the Tachyon butterfly knife, the Tachyon III, has arrived, and it's insane! It's quite different in construction than the previous Tachyon models with milled, integral titanium channel handles, a spring latch, and retractable pocket clip. Designed to stay out of the way while you manipulate the knife, the minimal pocket clip is the first of its kind. What would a brilliant design and premium materials be without that smooth action you crave? The Tachyon III exceeds expectations with an advanced ball-bearing pivot assembly. The quality of the knife is apparent when you pull it from its pouch. Then you start to play with it, test the play in the handles; begin to get a feel for the knife. This is when it turned to a downhill spiral. 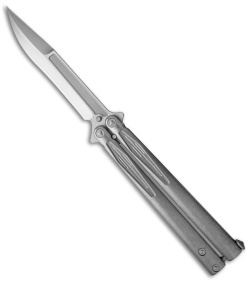 The safe handle on my Tachyon 3 felt notchy as it swung as if the bearings where getting caught: an issue that should not be present in a knife of this caliber. Upon more inspection it became clear that while there was no blade play, the blade was contacting both handles causing marring and overall unsatisfactory fit and finish. While I do appreciate the quality of the blade, my example was not up the the standards of even a BM 51. Needless to say my Tachyon will be going back to Blade HQ (which has stellar CS) as I do not want to deal with the less than satisfactory customer service of Microtech. I will be keeping an eye out for Flytanium's 62 or possibly a HOM.